In this week’s edition, we celebrate the little bit of good news that bitcoin’s drop seems to have been thwarted – at least for now – as crypto investors could use any reason to celebrate this year so far. We remark how bitcoin bulls and bears remain as assured as they are equidistant, review one crypto company that has managed to climb to the top of its gain in the face of dropping coin prices, and take a look at two countries with differing approaches to cryptocurrency adoption, though both remain decidedly unsuccessful with them thus far. Last week marked the second week in a row of gains for bitcoin, which is definitely a positive sign for the mother of all cryptocurrencies, though the increase has happened on relatively week volume and prices continue to remain only a shade above their lows for 2018, set in June. Meanwhile, the financial media’s parade of well-dressed analysts remain more divergent than ever in their assertive speculations about bitcoin’s future. Recent price predictions to become news stories range anywhere from $100,000,000 (yep, that’s right, one hundred million) by 2030, to $100 by 2020. While Roubini may have been right about the housing bubble, and more-or-less right about bitcoin being in a bubble (so far), bitcoin has proven itself to be a means of payment for things outside of bitcoin conferences, and also acts as a unit of account to a degree arguably greater than that of classic fiat currencies, by offering 8 decimal places instead of the usual 2. It is also worth noting that Roubini has been a perpetual pessimist – also known as a “perma-bear” – in the face of the massive economic recovery that has taken place over the last 8 years and brought stock markets worldwide to all-time highs. 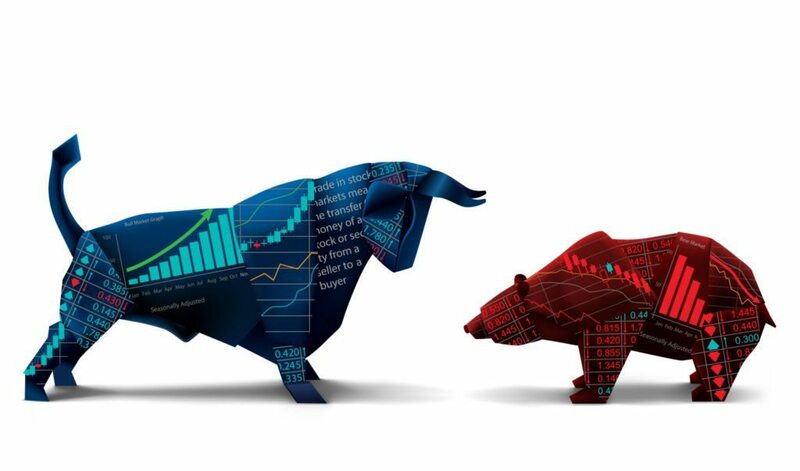 Regardless, it is good to consider the viewpoint of the other side from time-to-time in order to prevent oneself from being caught up in the irrational exuberance of runaway bull markets, as are frequently sought after in the world of cryptocurrency. One company that is definitely in the green regardless of the future movement of bitcoin is mega exchange Binance, which is on track to realize a net profit of $1 billion by the end of 2018. In an interview with Bloomberg magazine last week, CEO Changpeng Zhao announced that Binance membership had recently surpassed the 10 million mark and that the average trading volume of the exchange was roughly $1.5 billion in crypto trades per day, with BTC/USDT trades accounting for roughly 16% of daily volume. These numbers put Binance in the position of being the world’s biggest cryptocurrency exchange. In a year which bitcoin has fallen over 50% since its start, Binance’s accomplishments over its single year of operation is no small feat. 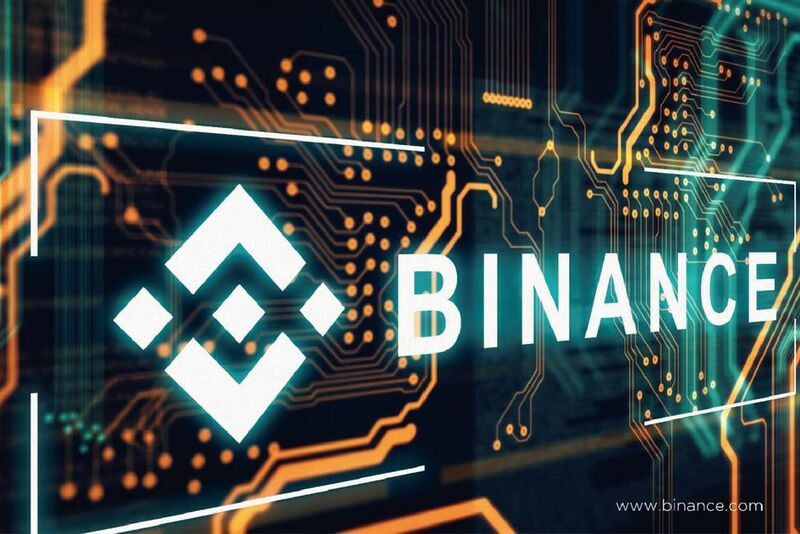 Binance currently offers 370 different trading pairs and is widely regarded as one of the best exchanges (if not the best) in the business. Part of Binance’s success is not only having a brilliant marketing strategy but a top-notch support system, relatively lax customer information requirements and an easy-to-use, graphically pleasing interface. At the peak of the crypto craze in December 2017, Binance was doing over $11 billion in trades per day, Zhao told Bloomberg. Zhao, no stranger to the public eye, is an active twitterer, with his account having close to 200,000 followers, and uses his position at Binance to promote mainstream acceptance of cryptocurrency, as well as noble causes and charities worldwide. Having such a chatty, positive-minded CEO who does not seem to be solely consumed by thoughts of profit has probably contributed Binance’s overwhelming success as well, even if in an indirect manner. A few weeks ago CoinClarity published an article about the first state-run cryptocurrency, called the petro, which is supposedly backed by unearthed barrels of Venezuelan oil, and point out many irregularities in its ICO process, which closed a few months earlier this year. To date, no petro tokens have been released from its issuing NEM address, despite the ICO website claiming it to be a massive success — actually no less than “the biggest ICO in the history (sic).” Indeed, Maduro claimed that $735 million was raised during the ICO on its first day, and some estimates (including those on the ICO website) put the total amount raised close to $5 billion. If this were true, the petro would actually be the biggest ICO in history, surpassing its next closest rival (EOS) by over two-fold. Although investors are still waiting for tokens to be distributed to their NEM addresses, Venezuelan president Nicolas Maduro has made recent claims that the petro is already being used to fund a wide variety of public works projects, such as housing for the homeless, and petro mining farms meant to help educate the country’s youth on the subject of cryptocurrency. The latter example is particularly curious as the petro is a NEM-based token; all of which have already been created. And since NEM itself is secured by a Proof of Importance (similar to Proof of Work) algorithm, neither coin can actually be mined. 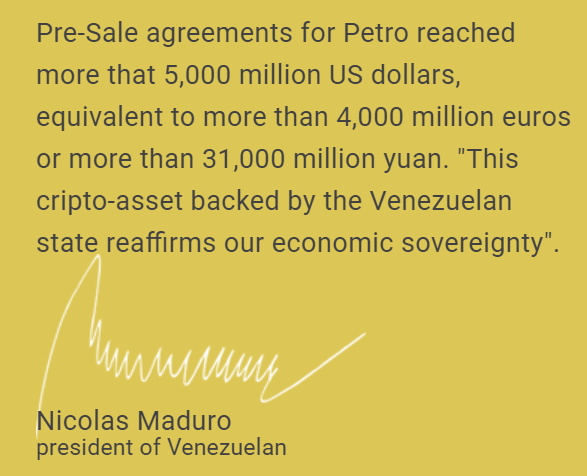 Despite its non-distribution, the Venezuelan government continues to behave as if the petro is a fully-functioning cryptocurrency, currently being publicly traded, and by all accounts, a resounding success. President Maduro even ordered companies based in Venezuela to accept it as early as February, even though its citizens cannot purchase it using the country’s own currency (the bolivar), and has pressured nations like India to use it in exchange for steep discounts in oil purchases (they refused). In a country that faces inflation rates close to 4,000%, a barrage of U.S.-led sanctions and crippling poverty, the petro was initially seen as a novel solution to the problem of lack of government funds. However, it is now widely being seen as a disaster, and if website estimates are correct, the biggest ICO flop of all time. India, a country home to more than 18% of the world’s population (the second biggest in the world after China), by all means should be a country ripe for financial revolution, standing to gain immensely by a leveled economic playing field brought about by the idea of decentralized governance of money. At $1670 per year, India has one of the lowest per capita incomes in the world and its citizens could reap massive benefits from reduced banking and money transfer costs, as enabled by bitcoin and other cryptocurrencies. However, India is anything but bitcoin friendly. The country first imposed a ban on bitcoin trading in April of this year, cutting off the legal authority for banks in the country to conduct business with cryptocurrency exchanges. The result has been the close of India’s few bitcoin exchanges and a downfall in the popularity of cryptocurrency in the nation. While crypto-only exchanges continue to operate within the country’s borders, they too are prohibited from dealing in the local fiat currency, the rupee. This has forced residents to conduct crypto trades for rupees using local trading resources like localbitcoins.com, which often attract criminal elements and run the risk of not working as advertised. In addition, the federal government of India also regards bitcoin as a utility that aids already-rampant corruption within the country’s lower-level politics. Last week members of a political faction were accused by members of congress of running a money laundering scheme where blackmail money received by police forces was converted into bitcoin before going into the hands of the locally-dominant political faction. As a result, the federal government has clamped down on its ban, forbidding all banks from conducting any sort of business using any cryptocurrency, expanding the ban to coins beyond bitcoin. In order for India to let its guard down on bitcoin, it will take some major reformative efforts in legislation – a process unlikely to occur any time soon in the country’s slow moving, traditionalist-based legislative landscape. It seems that activity buzzing around one of the world’s biggest Ponzi schemes, that of Bitconnect (we wrote an expansive article on just how wrong it was a few weeks back), just won’t die, and now YouTube is becoming part of the mix. According to a lawsuit filed on July 3rd, YouTube is liable for money lost by hapless Bitconnect investors who made investments based on either information gleaned from videos made by members of YouTube’s Partnership Program or ads for Bitconnect placed in other videos. The total amount of affected content hosted by YouTube is estimated to be approximately 70,000 hours in length and have garnered some 58 million views. Just when YouTube thought it was recovering from its whole Adpocalypse misadventure from last year, they now potentially have to deal with hundreds of thousands of sore investors who lost over a combined billion dollars to the anonymous fraudsters behind Bitconnect.